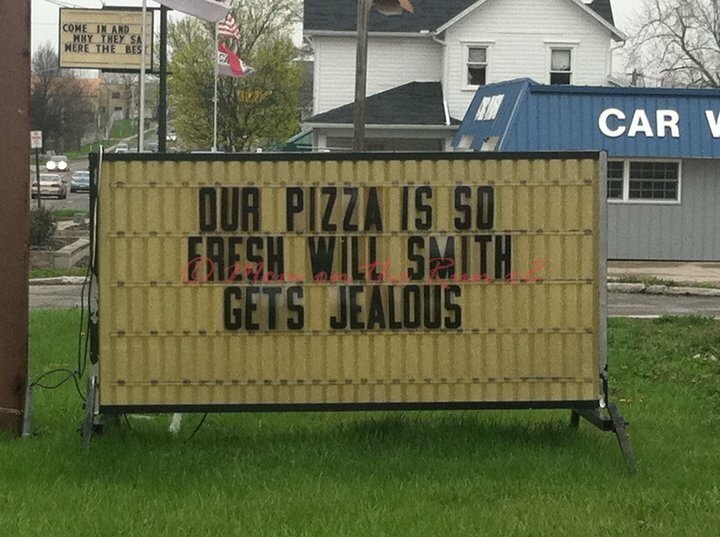 Sign at a pizza place in town. Cracks me up every time. The sad thing is… I’ve never eaten the pizza there! I think I should check it out for marketing purposes. LOL. I can’t believe you haven’t even eaten there. Gotta support the businesses with a sense of humor. Especially a sense of humor from the 80s! Awesome sign. I know… right. I’m afraid the guy that owns Jack and Do’s will find me and drown me with pizza sauce. We are on a first name basis.